Colnect has presented on Sberatel 2011 and here is the third part of our experiences. You're welcome to read the first part and second part as well. Here below you can find two specialized fantasy banknotes created especially for the fair. As you can see, they are very beautiful and so quickly became a wanted commodity in the fair. Collectors wanted to grab a few copies of each and some were even coming back again and again, pretending to see them for the first time just to grab a few more copies. To help explaining to visitors about Colnect, some of our dedicated members pitched in to help. They wore Colnect T-Shirts and explained about Colnect in different languages. Thanks to Vadym Sulimenko [Dravec], of Colnect's most valuable volunteers, Czech language was very well attended to. Gary Hoff [gazzaoz], our transportation tickets coordinator, helped with German. Colnect has presented on Sberatel 2011 and here is the second part of our experiences. You're welcome to read the first part as well. The main hall of the fair had hundreds of dealers presenting their items for sale. The most popular categories were stamps, coins and banknotes. However, most esoteric items, such as figurines and minerals were on display as well. Colnect's centralized catalog approach is good for many categories which we don't yet offer. We do plan to offer them in the future. Kinder surprise eggs is one such category. The phone cards section, especially dear to Colnect as it was the first category Colnect has offered, had only a few tables. It seems every year dealers are reporting that the hobby is losing interest as mobile phones mean people around the world are less likely to use public phones. Colnect presented on Sberatel 2011 fair in Prague, Czech Republic. The fair has been attended by over 12,000 people. 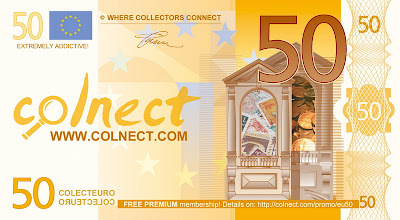 It has been a lot of fun to meet Colnect members and collectors who were not yet familiar with Colnect. Colnect had a table right at the entrance to the fair so that visitors would see Colnect as the first thing in the fair. Our table featured Frognector Da-Green himself, new fliers (or: fantasy banknotes) of Colnect, Colnect T-Shirts and a projector that played videos of Colnect and presented the site in real time. Here Colnect's founder, Amir Wald [tcawe], is seen waiting for collectors at the table. Each day Mr. Wald put on a Colnect T-Shirt of a different color. On this picture you can see Frognector and Moo resting after sipping a tasty Czech beer. This year's fair has been a success as published by its organizer, Mr. Jindřich Jirásek: "This year's Collector Fair, 14th in a row, was the biggest in its history - both as for the space expanse and the number of the participating exhibitors. The number of paying visitors entering its gate exceeded 12,000... Many thanks to all visitors and to all 260 exhibitors, this time from 35 countries from all around the globe, for coming..."
We are pleased to announce that Colnect will soon present on Sberatel collector fair in Prague. 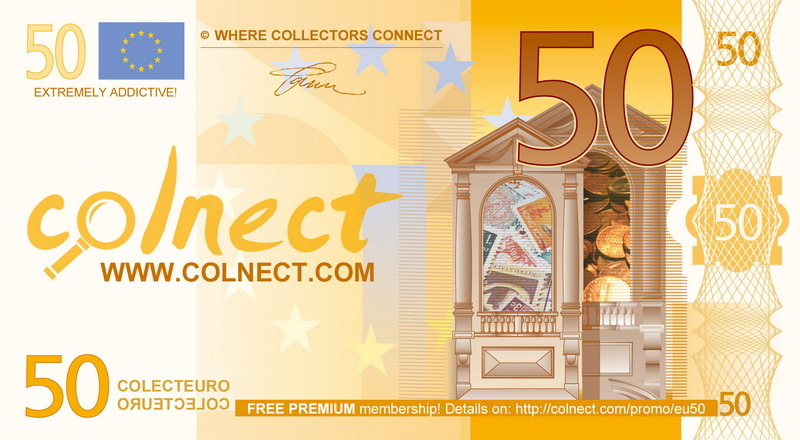 Sberatel Voucher for Colnect Members!